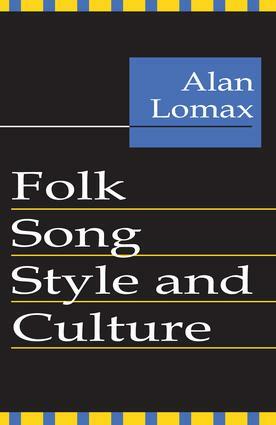 Song and dance style--viewed as nonverbal communications about culture--are here related to social structure and cultural history. Patterns of performance, theme, text and movement are analyzed in large samples of films an recordings from the whole range of human culture, according to the methods explained in this volume. Cantometrics, which means song as a measure of man, finds that traditions of singing trace the main historic distributions of human culture and that specific traits of performance are communications about identifiable aspects of society. The predictable and universal relations between expressive communication and social organization, here established for the first time, open up the possibility of a scientific aesthetics, useful to planners.